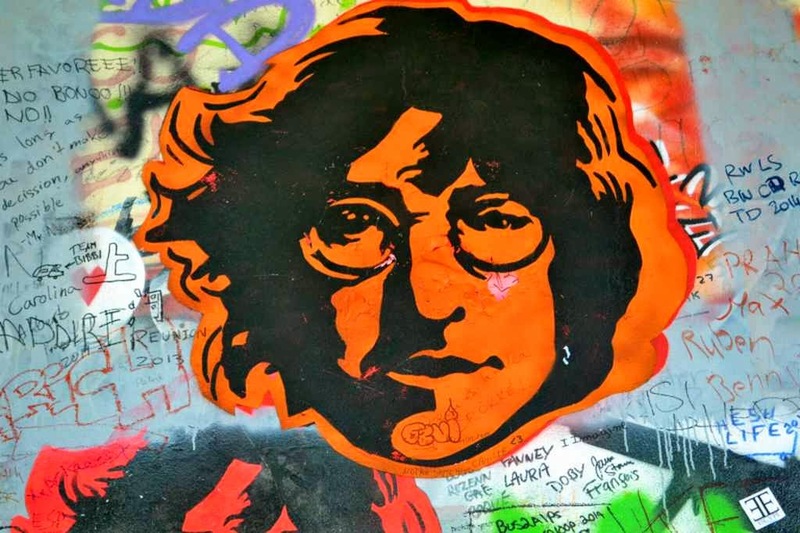 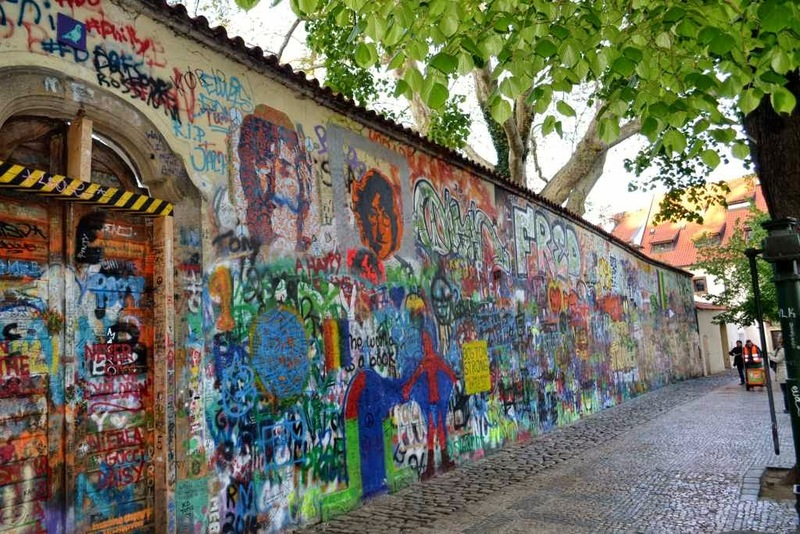 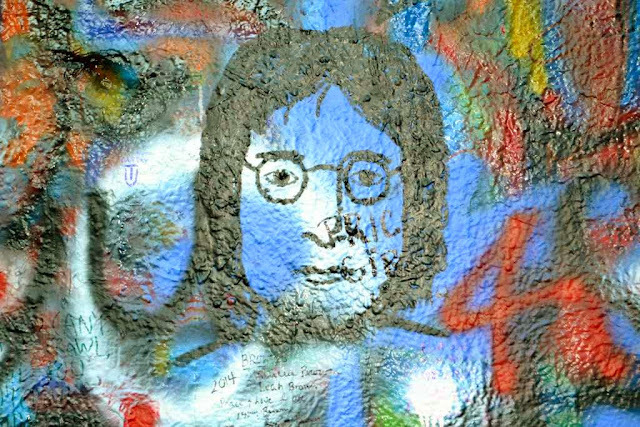 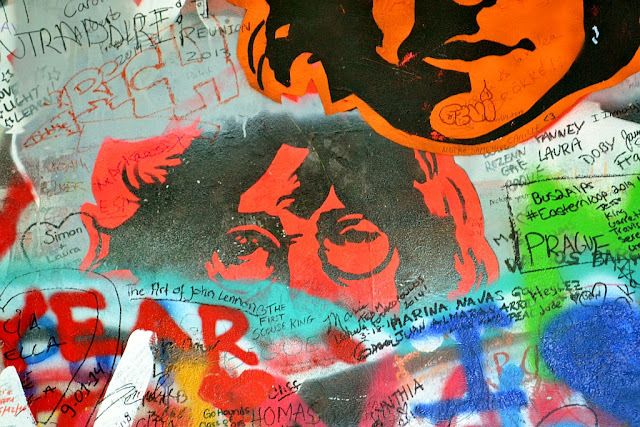 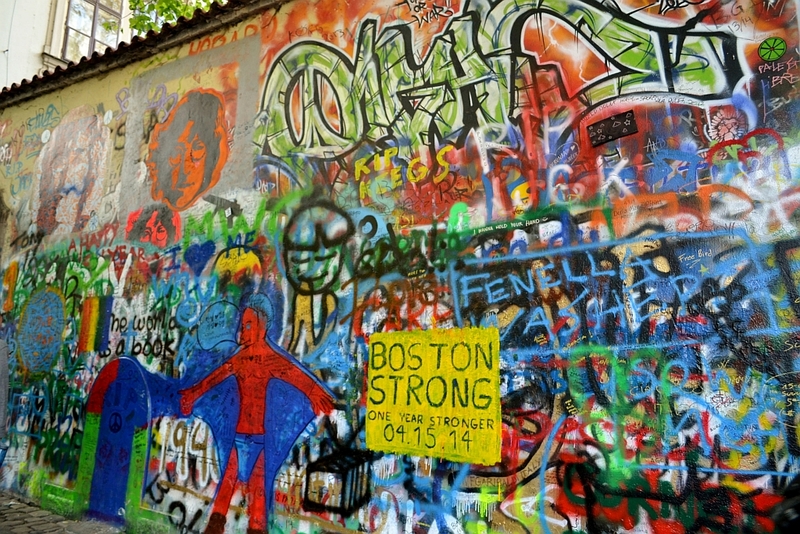 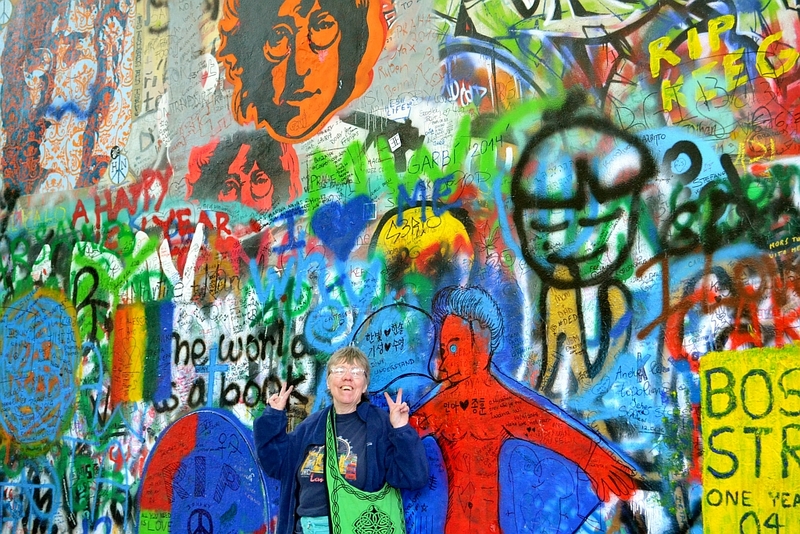 I went in search of the John Lennon Wall I had to keep asking people where it was very hard to find. 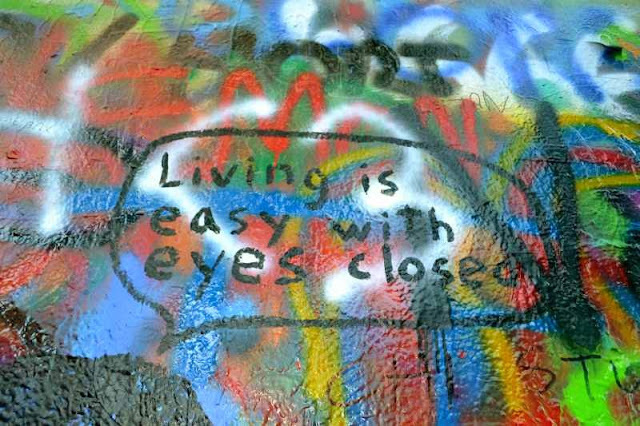 Everyone knew what I meant when I asked and they would point the direction one workman shook his head no walked away and suddenly came back and started pointing, where it was. I finally found it, there were so many messages on the wall. 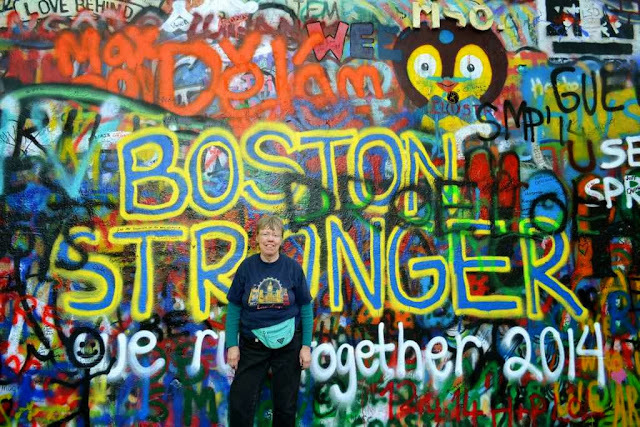 I read people use it for all sorts of messages regarding Peace there were several remembrances for the Boston marathon bombing. So many people to the wall while I was there at least a 100 people.